The spectacular collapse of Mt. Gox, the biggest Bitcoin exchange, after the theft of $477 million worth of its customers’ Bitcoins, has dealt a fresh – and possibly fatal – blow to the leading alternative currency. However, the remarkable success of Bitcoin to date has at least indicated a genuine desire and utility for virtual currencies. It could be that Bitcoin itself could be restructured, reprogrammed, and better regulated to the point where it could regain the trust of a public still eager for the advantages of virtual currency. At the moment, Litecoin is the second-most used digital currency after Bitcoin, albeit a distant second. Like Bitcoin, Litcoin saw a dramatic rise in value during 2013, and did in fact see greater percentage growth over the course of the year than its more famous cousin. Essentially, it’s quite similar to Bitcoin, and is even based on the same protocol, but it is much easier to mine and has a greater degree of transparency. So far, its fortunes have mirrored those of Bitcoin, peaking in value in November and falling afterwards, and if Bitcoin falls out of favour, it is likely that Litecoin is going to be deemed to have too many of the same shortcomings to fill the void. This open-source cryptocurrency is also based on Bitcoin. The main distinguishing feature is that it acts as its own DNS, which is the internet protocol that allows machines to understand human-comprehensible web addresses such as tradersdna.com. This means that it operates outside the regular internet, sidestepping the Internet Corporation for Assigned Names and Numbers (Icann) and therefore providing a greater degree of anonymity. This could see it adopted by those wishing to keep their financial transactions below the radar, but this doesn’t really address the security and transparency issues that are currently dogging Bitcoin. 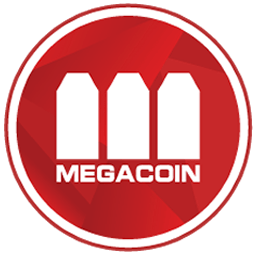 This Bitcoin-like peer-to-peer currency claims a number of advantages over the current market leader, including better security, safeguards against group mining activities (which have been highlighted as a potential flaw with Bitcoin) and more efficient mining. Currently, it has the fourth-largest market capitalization of the current crop of alternative currencies, and given that it addresses some of the most obvious flaws with Bitcoin, could be a strong contender in the future. Although this cryptocurrency seems, on the surface, to be similar to Bitcoin, under the bonnet it is a completely different story. Rather than relying on Bitcoin’s “Hashcash” algorithm, Primecoin uses a sequence of prime numbers called Cunningham chains to build value into the currency. Also, the difficulty of mining increases slightly with every new coin that is created, rather than shifting dramatically when certain thresholds are breached a la Bitcoin. Having only been introduced in April 2013, Feathercoin is relatively new to the virtual currency scene, and is based on the open-source Litecoin code. However, unlike Litecoin and many other digital currencies, it is updated on a regular basis to incorporate new features and enhancements, and as such may prove better equipped to resist the security attacks that have harmed the reputation of these new currencies. Could be one to watch. This peer-to-peer digital cryptocurrency differs from most of the others in that protection schemes are integrated into the core of the currency, thereby deterring abuse from mining groups. It has a technical cap of 2bn coins, much more than most of the others, and this cap could be increased if need be, which makes it more manageable from a monetary policy perspective. 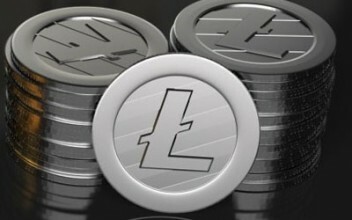 This Litecoin spin-off differs in that the adjustment rate during mining is more frequent, and the total number of coins that can be created is also much higher. However, it’s unwieldy name and similarity to existing alt-coins means it is unlikely to stand out from the crowd going forward. 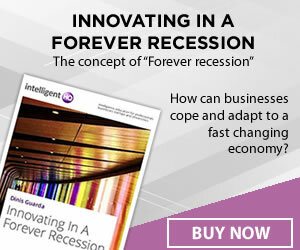 Although this only came onto the market in late 2013, it differs little from Bitcoin and other crypto-currencies, although its stylish and overt branding could see it take off with a market looking for a greater degree of professionalism, in the same way that Facebook triumphed over Myspace partly by looking a lot cleaner and more elegant. Another cryptocurrency saddled with a largely unmarketable name, the main selling point of Quark coin is its extremely high levels of security, with nine separate rounds of encryption using six different algorithms.